I have seen trade shows launch brands and create millions of dollars of repeatable revenue for companies and open new channels, create wealth and employment. I have also seen companies that failed to execute on the plan they had for their show. They sent the wrong people to shows or didn’t follow up on the sales leads because they didn’t have a plan and if they did, they didn’t execute on the plan. But I also know that not going to trade shows can be equally expensive. It’s a missed opportunity to collect leads that are targeted, quality and easily qualified. So how do you make the most of that opportunity? 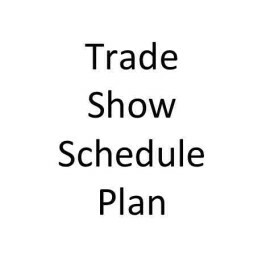 I created this blog post after one of my clients mentioned to me that there should be a calendar of all the things that we have to do as exhibitors in trade shows. I agree and hopefully this blog on trade show schedules will help. If I have forgotten anything, please get in touch with me so I can add it into the trade show schedule. Set your goals and do your research. Are your competitors at this show? Does it attract the right demographic for your company? Do your company or personal goals align with the show objective? Find the best booth that you can secure—early. If you are not ready to buy and the tradeshow owner will allow it, put a hold on the booth until you can get buy-in from your decision maker. Find some money. Get some partners or some funders. You may have already done this, but if you, or in your industry, need others to help fund your marketing or your participation in a show, it is best to cement this down early and send them a partial invoice. Get them to have skin in the game. Create your budget. Remember with most trade shows you are simply buying or renting space. It is up to you to figure out the other costs. Typical costs can include carpet, electricity, labor, material handling (sometimes called drayage). If you are headed to an equipment show, you may need compressed air, water, drain and special power. If you have a complex booth you will want to consider hiring show labor or an outside contractor called an OAC – outside approved contractor. Confirm your participation. Bind the deal. Send in your signed contract and deposit to the trade show operator. Ask if there are any obstructions in your booth, to the flow of the show, and make sure you know who your neighbors are and where your competitors have booked space. Make your reservations. Reserve your hotel rooms. Make cool restaurant reservations. Always make the reservations for a few more people than you need. It is much easier to shrink reservations than to grow them. One of my clients makes extra reservations for clients at the same hotel. He then offers them to his clients to use. He doesn’t pay for the rooms, he just knows that some of his clients may forget to book hotel rooms. He keeps his prospects close to him. Create your plan. 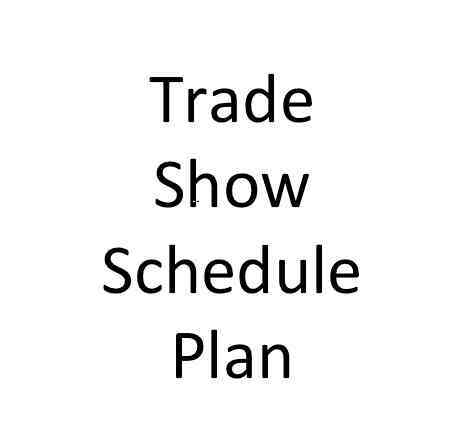 Start your booth plan now and create your trade show binder. This is the single most important step. It should have every detail, every order, all the contracts, check lists, budget, calendar, contact names and a step-by-step plan mapping your responsibilities before the show, during the show, and post show follow up. Do you need a sample of a Trade Show Booth Plan? Contact us. We would be glad to help. Your company description. Send in your company description early. While you are at it, check all your company information for spelling and accuracy and have an editor or other objective person look at it. Include your important industry key words. Always have a few versions: 50 word, 100 word, 150 words and update them as needed when your company makes any changes. Make sure there are no typos on your description when it is published on the show web site and on the mobile website. It happens! The show operator will also need a copy of your logo. If they are printing a show guide it will be a medium print resolution, but always best to give them an .eps (encapsulated post script) version of your logo. Display material. What are you featuring in your booth? Are you going to build or borrow equipment? What are your displays going to look like? What did you do last year? Do you have any pictures and graphics? Now is the time to decide this and to put any costs into your budget. Create your marketing message. Contact the show and see if there might be some speaking spots open for your sales or technical team to share an educational topic. Don’t be afraid to put your customer on the podium. We are in the age of storytelling and stories from your customer’s perspective are believable and memorable and create more impact than any marketing message. Pay for your booth. It is always a difficult conversation when salespeople are trying to setup their booth and the show management comes by with an invoice requesting immediate payment and someone has to put down their credit card. It wastes time and puts your staff in an awkward situation that really shouldn’t be an expectation for them at the show. At some point you will also have to put your credit card on file with the show contractors. Build your team. It is never too early to pick your team for the trade show. Not everyone is built for trade show marketing. It is a different and challenging environment and you should look around to see if someone other than the obvious sales team might be better suited to this important task called boothmanship. Think of your reception desk, for example, or other extroverted types, who are comfortable or even energized by talking to people all day. Plan your booth. There are lots of elements necessary to create an effective exhibit. You might already own a booth property or pop up booth. Perhaps your marketing message has changed and you need to update your graphics. Your plan should include details for procuring photos, technical illustrations, creating videos and visual presentations. These take time and usually involve outside contractors, so start early. Order your consumables. You might need fresh staff shirts, pens, calendars, name tags, lanyards, literature and custom printed trade show hand outs. Remember that company brochures are often tossed after trade events, so lighten the load and bring only what you need. Send in your insurance forms. If you show up and your insurance forms have not been sent into the show operator, you will not be allowed to set up your exhibit. So put these on your early “to do” list. Most of the time they are sent to the show operator’s operations department. Booth change? Do you need a better booth position in the show? Do you require any more space? Now is the time to check with show management and keep in close contact with them. Remember that show management does not like “holes” in the show, especially at the front of the show. Rent or buy decisions. Trade show halls are not places where you want to try to buy trade show items on a whim. The operator and associated contracted providers charge absolutely ridiculous fees for things are easy to pack and bring. For example, I always bring my own electrical power bars and Velcro double-sided tape. I cringe when I have to pay $35 dollars to rent a cheap garbage pail that you could buy at Target for $2. If you have a small booth, bringing a portable vacuum or carpet cleaning spray and it may save you several hundred dollars for professional cleaning and vacuuming. Contract out early. If you are going to buy products and services from suppliers that are attached to a show, like a lead scanner machine, buy it early. The companies that rent these items often offer a discounted price if you purchase weeks before a show versus purchasing at the event, which can cost you 15-20% more. Why pay more when planning can save you a bundle? Strike your booth. This is trade show lingo that means to set up your booth at your storage or office and triple check everything before you leave for the show. Give yourself some time to react if, for example, your graphic is cracked, discolored and needs to be reprinted. I recommend doing it a month or so before the booth ships. Most of these services also have discounted rates, although some of them are variable. If you need a fork lift for example, you will be charged one hour minimum, and you may be charged (up front) for a disconnect fee on the way out. Check with the show contractor and again, book early and be aware that these services are on a “will call” schedule basis; that is, you are meant to go to the service desk a few hours before you need that fork lift and tell them that you are “ready” for the lift truck. Order your lighting. Do you need overhead lighting to put some lighting on your graphics or your hanging sign? Often these can be mounted on the ceiling or on the floor. Best to budget or plan for this and pre-order it, as ordering onsite is usually more expensive. Sketch out your services. Send out a diagram to show electrical and plumbing plans, hanging show plans and equipment placement in your booth. Fax, email and/or courier these plans to the appropriate people at the trade show venue. You can sketch freehand or even using software programs such as Excel. Confirm Your move-in time. It is important to know your precise move in time. If you have a big booth and your delivery service or truck driver fails to check in (called a truck marshaling yard) on time, you go back to the end of the line. This can be expensive. Remember that your 1 PM move in time likely will be later, which is why they call it a “target time”. This is the Murphy’s Law of trade shows: everything takes longer, or so it seems. My wife calls it “hurry up and wait”. Also, if for some reason your scheduled move-in time is not working out for you, contact the show contractor or show operator, but be warned ever try to walk amongst a crowd of people walking against you? Moving in late is a bit like that. Confirm all your services. I know this may sound odd, but are you certain that the supplied with whom you placed your order for carpet, under pad and plastic covering actually got the order? It is always best to confirm a few weeks prior to the show that they got the order and received your “method of payment form”. It can be expensive to watch your labor waiting while carpet is being laid down. Been there and done that and paid the bill. At the show. Who (on your team) is responsible for what at the show? Create your booth schedule. Document who is responsible for social media posting, meeting with the press, going to the pressroom, keeping the consumables stocked in the booth. Communicate this to your staff so there is no misunderstanding. Get into town early. Once I was headed for a trade show in Chicago, early as I always planned, and after about an hour had passed on the flight, we turned back because of fog. We landed back home, waited, the fog cleared and we got on a later flight. It was a long day, but that early planning saved everything going south at the tradeshow set up. Getting into the show early usually means you get first access to important resources at trade show: labor, forklifts, electrical and plumbing and you get your booth set up early. And you don’t have to worry about weather or other elements outside of your control and you never pay overtime. Safety first. Trade shows are not the safest of places on the planet. People are rushing and fighting for resources. The show floor is a mess with crates. Forklift drivers may be unfamiliar with the venue, doing things fast to help facilitate the show. There are large crates everywhere. They get moved around without full vision of what and who is behind them. Never get cornered between crates. Don’t stand on chairs. Wear safety shoes and glasses as appropriate. My advice, follow the same rules you follow back at home office. Plan your escape. Before you start planning for your travel home, know what team member will stay on the last day of the show and communicate with them early so they can plan for it. Put it into your own show plan. Nothing is worse than thinking your local “Rep” will stay to the bitter end, and he or she takes off at 3 PM to “beat the traffic”. It is amazing to watch how quickly a show “comes down” but it may be many hours until your crates come back from storage, especially if you have a big booth or equipment that has to get packed up. Secure expensive and delicate items, change clothes, get some dinner and come back that evening if necessary and get a start on tearing down your booth. Remember again, everything takes longer than you think at trade shows. Plan your follow up. Who is responsible for which leads that come into the show? Who will send out literature? Email follow up, phone calls or snail mail? What is the process of dividing up the leads? Will we use an outside company to follow up leads and have you budgeted for this? Sign up for the next show edition. Many trade show operators will want you to commit to next years’ show while you are at this show. Best to figure out who will make that call, or contact show management and get a proxy contract if you are unable to travel to the show and make booth choices at the event. Remember your trade show report. If you take the time to create a trade show report, you will be in the top 5% of exhibitors in the show. You will have a history of which sales and which orders came from which shows and who you met at each event. You will have a valuable document that will help other marketers at your company for years to come. You might even protect your marketing budget with proof that when, executed correctly, trade shows work, and like your golf or tennis swing, it is all in the follow through. Follow your plan. Execute your plan and Measure the results. I call this PEM. Plan, Execute and Measure. Got questions or comments. Get a hold of me or post at the bottom. Like what you have read here? Sign up for our enewsletter >>>>>>>>>>>. 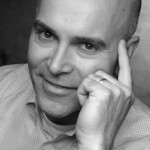 Jim Beretta is blogger and founder at Customer Attraction.